Join us on Facebook and visit our KICKSTARTER page to help make this parade a success! 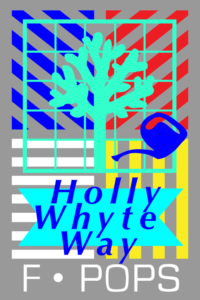 Download your own Holly Whyte Way SELF-GUIDED TOUR here. 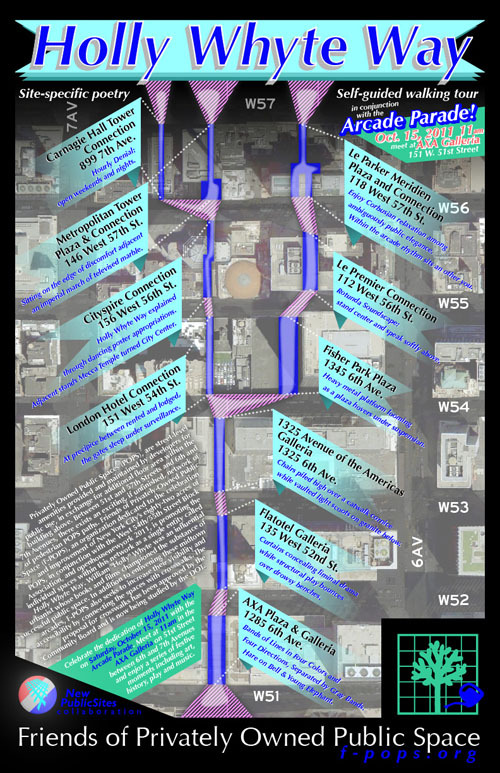 Join us in Midtown New York on Saturday, October 15th for the Arcade Parade, a free pedestrian tour through a series of little-known shortcuts composed of privately owned public spaces. Between 51st and 57th Streets and 6th and 7th Avenues, there exists an exciting, if unfinished, network of privately owned public spaces (POPS) provided by developers in exchange for additional floor area within the buildings above. 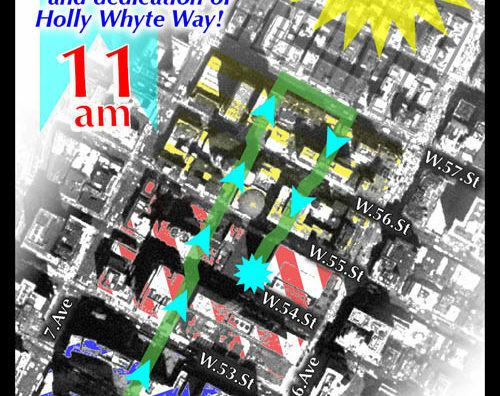 Friends of Privately Owned Public Space (F-POPS), in conjunction with the West 54th/55th Street Block Association, and openhousenewyork, is promoting the individual spaces along the parade route as a single entity called Holly Whyte Way. William “Holly” Whyte was an influential urbanist whose books and films championed the substance of successful public space. In addition to enlivening these midtown arcades, F-POPS also seeks to increase their visibility and accessibility by connecting the spaces along the parade route with crosswalks. The proposal for crosswalks has been approved by the Community Board and is now being studied by the NYC Department of Transportation. 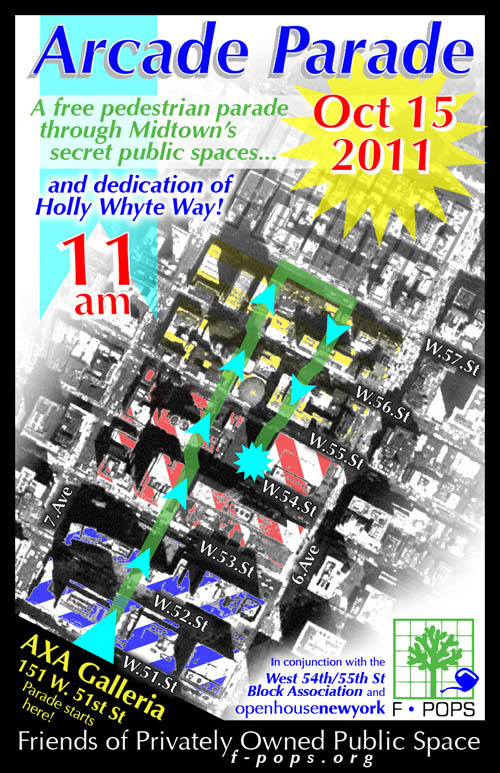 The Arcade Parade will mark the dedication of Holly Whyte Way through a series of festive events along the nine-block parade route, including presentations of architecture and history by architects Brian Nesin and David Grider, episodes of play from artists Graham Coreil-Allen and Christina Kelly, a moment of site-specific sound by Simone and Claire Ghetti, and raucous music by the Hungry March Band! Friends of Privately Owned Public Space is an organization dedicated to the celebration and improvement of New York City’s eighty-two acres of POPS. A collaborative of architects, artists, and community leaders concerned with the civic realm, F-POPS seeks to raise public awareness of the existence and purpose of these unique spaces.